At Forgotten Cats, our mission is to reduce the unwanted cat population without killing and to stop the suffering of the thousands of kittens born to abandoned, homeless cats. We do this by working with colony caretakers to trap, sterilize, vaccinate, and return every cat within a colony. We provide the necessary medical treatment for sick or injured feral cats, stray cats, and kittens. We are working to find homes for adoptable cats and kittens. We also provide education about spay neuter, and we are assisting other cat rescue groups with trap, neuter, and return programs. Despite the existence of many animal welfare organizations, the plight of the homeless cat has been ignored by most. For decades extermination has been the only method utilized to control the homeless cat population. Despite this cruel method of population control, the homeless cat population has not decreased, thus proving that trap and kill does not work. 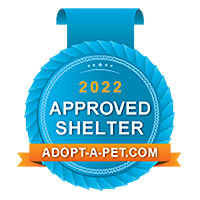 Forgotten Cats was formed in 2003 (and incorporated as a 501(c)(3) non-profit in 2004) to provide a humane and effective way to prevent the suffering of kittens born to abandoned and homeless cats by humanely controlling the homeless and feral cat population. Starting with no funding and very few volunteers, Forgotten Cats worked to trap, neuter and release (TNR) 20 cats a week. As the word spread about the success of the TNR program, it became clear that Forgotten Cats currently manages one of the largest trap, neuter and return programs nationally.